Ulster Road Race season wraps up this weekend with the Ulster Grand Prix, but more significantly round 6 of the Ulster Superbike Championship takes place next Saturday 18th August featuring The Norman Brown Memorial Trophy. Norman Brown from Newry lost his life in a racing accident at the 83 British Grand Prix at Silverstone circuit. One of Irelands most talented and promising motorcyclists of his time, Norman in his 1982 Isle of Man TT debut took the Senior Race on his Suzuki and second place in the 250cc Junior race. In the 1983 TT Norman made history and new absolute lap record of 116.19mph in the Senior Classic race and took third place in the 250 Junior race. Reaching World Championship level of competition in a short space of time Norman was at the British Grand Prix on 31st July 1983. Rain and very wet conditions on track Norman had his hand up and had slowed down to enter the pits or just get off the racing line when he was hit by Swiss Rider Peter Huber whose view was obscured by other riders. Tragically Both men lost their lives. Norman had also competed in the local road racing scene in the early 80’s including the Ulster Grand Prix and Tandragee 100, completing a treble at the Skerries in 1982. Thanks to one of Normans friends Jim O Brien and USBK sponsor AJ Plumbing supplies we can remember and celebrate the life of Norman Brown next Saturday. 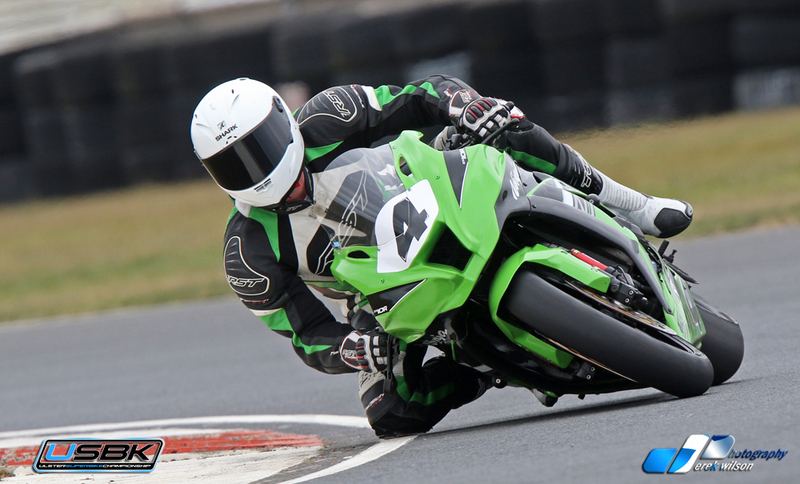 Practice at Bishopscourt Racing Circuit will kick off at 9am followed by an 18-race program from 11am. All races counting towards USBK and the Irish championships. The USBK Superbikes, Gerard Kinghan has dominated the class from the start of the season with 7 wins from 9 starts on 202.5 points from Ali Kirk on 102 points and Ryan Gibson on 98 points. Jason Lynn on his Yamaha R6 had very strong performances in this class last time out and will be in the mix, Barry Graham from Kilkeel is entered he was upgraded from the Cup class just before the last round but unfortunately got caught up in a first lap six rider incident at the first corner, luckily none had serious injuries. Supersport 600 races again prove the most exciting races of the day. Jason Lynn took control at the last round of championship after finding a “sweet spot “on the Walter Bell R6 set up and will be looking to do the same come Saturday. Jason now leads the championship with 145 points over Elkin on 109 and Korie McGreevy on 106 points. Mark Conlin, Darren Keys Jaimie Rea are also entered. Several other Championship classes make up the program races includes Supertwins, Production Twins, Pre Injection, Lightweight Supersport, Junior Cup & Young Guns, Classics, Moto 3 and Cup Classes. 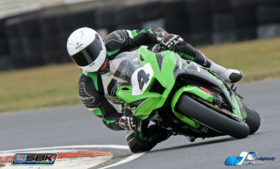 The Bishopscourt Racing Circuit have a great line up for round 6 of the Championship and Norman Brown Memorial Trophy. All this excitement can be enjoyed for just £10 pp and under 12yrs go free. Bishopscourt Racing Circuit has all catering and rest room facilities. The circuit will be open from 4pm Friday 17th August for paddock set up. Spectator Friday night camping/campervans available.